As indicated in the start of the year by Jeff Bezos, CEO of Amazon.com, Inc. (AMZN), company is going to launch a new mystery product. 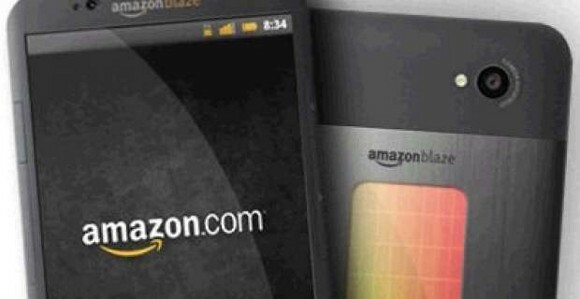 Even though the company never gave any details, all signs indicated that new smartphone with 3D features is being released by Amazon. Yesterday, company sent invitations for event to be held on June 18 in Seattle, Washington, to journalists, software developers and customers and it is anticipated that the new competitive hardware is going to be launched in this event. The new phone is aimed to penetrate the already crowded smartphone market with its unique features of 3D display along with the motion-sensing feature. Phone can assess the users’ hand gestures in addition to sensing their eye movements and can obey the command. Though new smartphone does have a feature of 4.7 inch touchscreen, but who cares about it when one can just nod and get its smartphone to work. Phone can also adjust its display angle according to user’s position through positioning technology and through incorporation of infra-red sensors and multiple cameras in the smartphone. Amazon had already patented these technologies. Amazon released a video yesterday in which users were seen marveling over the new features and how smart this smartphone really is. However, analysts consider it could be a marketing ploy by the company to make a dramatic entrance in the highly competitive and saturated mobile industry. As global smartphone shipments are up by 40% from 2013 and can keep growing, Amazon utilized this opportunity and tried to diversify in the tech industry. However there are many people who are quite skeptical about Amazon’s new smartphone, they think that Amazon’s profit margins have been shrinking since 2011 and have reduced from 1.8% in 2011 to 1% in 2013, and with new product, company will need to heavily spend on marketing and advertising which would further slash its margins. Moreover, the company has a reputation of pricing its product almost at cost, as in case of Kindle. It is expected that it will do the same with smartphone to keep the device competitive and grab the market chunk. However this low price strategy would again affect its margins. Company is making sure that it increases the sales of the online content it provides by introducing devices which supports them, such as this new smartphone and Fire Tv, introduced in April. The real question is whether these devices would boost the revenue in upcoming months and make investors happy. As investors might question the high valuation of the company since its major launches are being operated with low margins.